home improvement | Apple pie, anyone? You guys are seriously talented in the Naming of Longhorns. Gold stars for all of you, and something extra special for the owner of the name chosen. Yee-ha! Vote below for your favorite OR write in a new answer. If there are some significant new options, we’ll do a run-off on Thursday. For the first sixteen years of my life, I travelled with my family around the world and back as a military dependent. I started and finished my career as ARMY brat in Ft. Hood, Texas. Oddly enough, when I think back on my five houses… well, they all look the same. The blue blanket on Mom and Dad’s bed. The Hummel figurines on the shelves. The ivory Corelle dishes with brown flowers. The oak coffee table with lace table-cloth. Most all of these things have been replaced over the years, but when I think about ‘home’ that’s what I see. What will my kids see? It’s only taken me seven years to believe I had some sort of personal ‘style.’ How do you transition gracefully from the stenciled kites of youth to the French posters of college to the metal signs of single adulthood? It’s tricky. No one teaches you how or when or where to buy grown up things. One day you turn 25 and realize you have acquired a bunch of… crap. Your previous roommates had all the good silverware and movies and you are left with the trash can, your childhood dresser, and some camping gear. Where’s the good, solid stuff? Where’s the stuff in memories? You have to start somewhere. 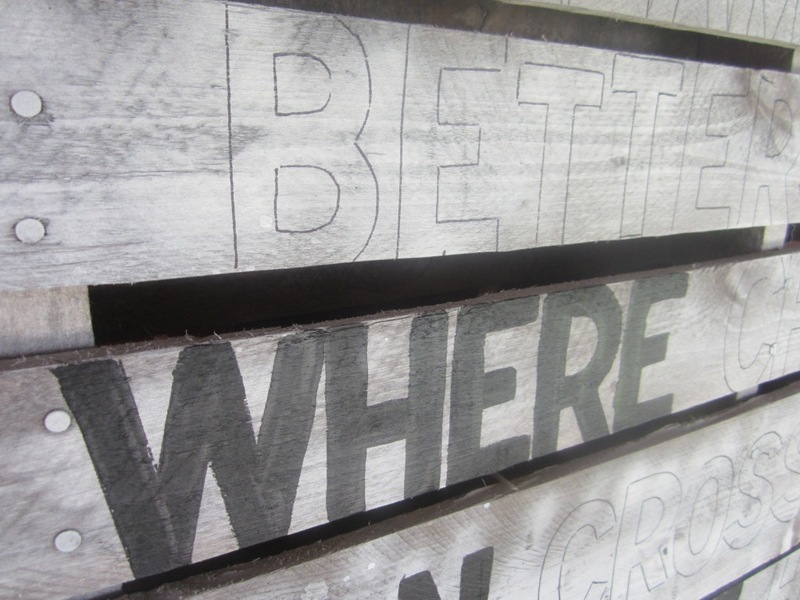 Our walls have been blank these past years… waiting for inspiration. The nesting bug finally got a hold of me when I was pregnant with Gideon and I began to put some life on the walls. I hate for pictures to hang alone. It always looks naked to me. 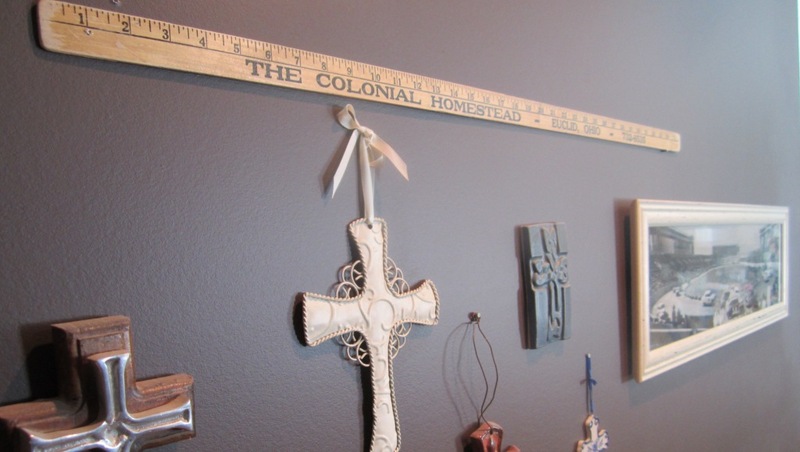 The yard sticks are all from family or special trips… and marrying them to another collection keeps my random buying at bay AND carries the primitive, sewing, folk theme throughout the house instead of quarantining it to one lonely display. 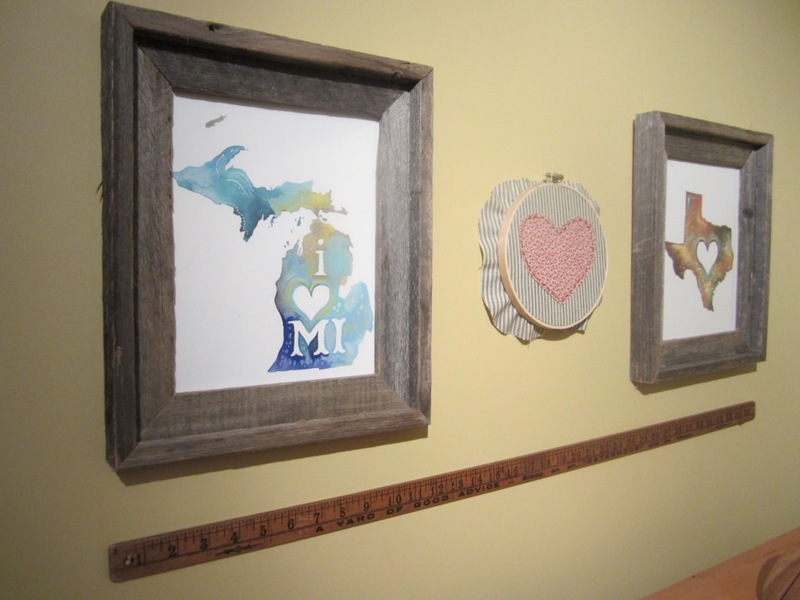 Michigan and Texas drawings (from HERE), framed in Hobby Lobby barn wood. I took a 50 cent embroidery hoop and some striped ticking fabric to make the heart for in-between. The yard stick is from Beulah, Michigan, near where we camp every summer. 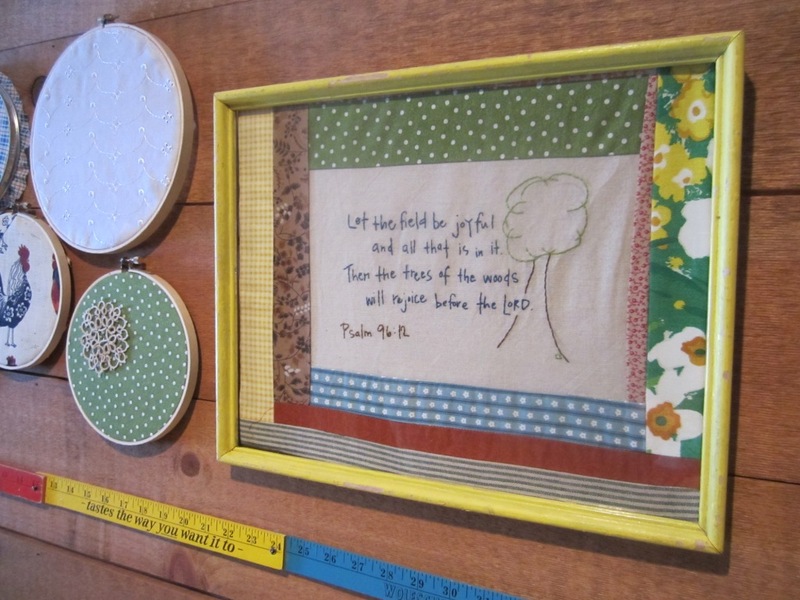 Framed Psalm 96:12 (made whilst pregnant with Gus Man), more framed fabric in embroidery hoops, and a colored yard stick advertising vodka. Mmmm hmmmm. Yard stick from Gramma Kluska’s closet. Crosses collected over time… from San Diego, from Curt, from Steph while de-cluttering for Spain, from a bridesmaids’ gift. The framed photo is a Cavanaugh print of Soldiers Field in 1949. They raced dirt track on Soldier’s Field! Wicked. This display is not finished- I’ve got to make liners for the filing baskets (which are from Katie Brown for Meijer) and hang my hats above the yardstick, but I had to put it in here. See Gideon? He’s swiping my hammer in the 2 seconds I stopped to take this ridiculously poor photo. Punk Kid. He is why everything has to be off the floor and out of reach. The cubed yard stick is from North Carolina, and reminds me of Bec and Sunday and Jess and Annie and Becky and all the rest of you… every time. Baby Report: Mulder Three has passed his or her final appointment and is ready for delivery. Next Thursday, Curt and I will check-in to St. Mary’s at 6:59am. Sometime around 9am, Mulder Three should enter the world a-hollerin’ and hopefully by that point we will have a name. We’ll give the blog and facebook a yell sometime and keep you posted 🙂 Thanks for riding this wave with us! I am So. Stinkin’. Ready. to meet this kid. Be sure to stop by the Baby Pool and leave us your guess along with a name. We need all the help we can get. 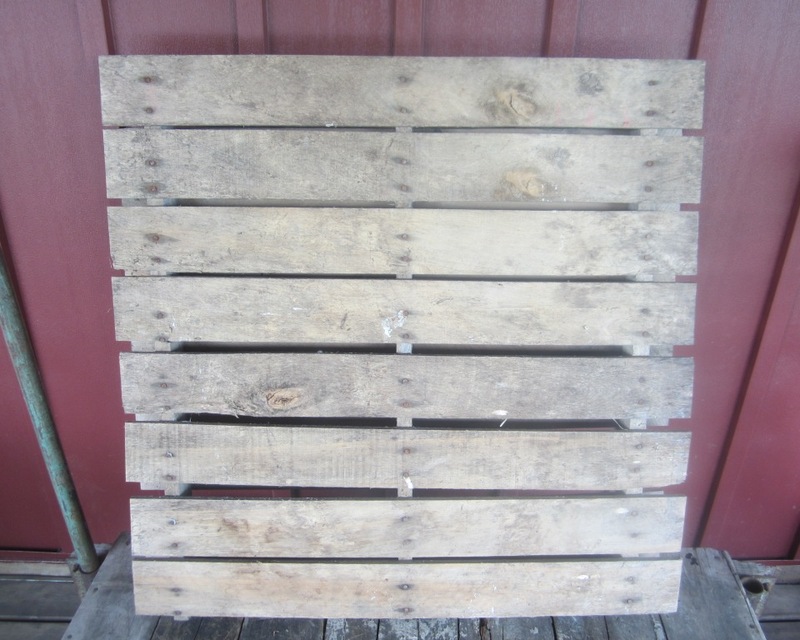 Just a quickie for you today: more home improvement that happened on the blog walk-about. 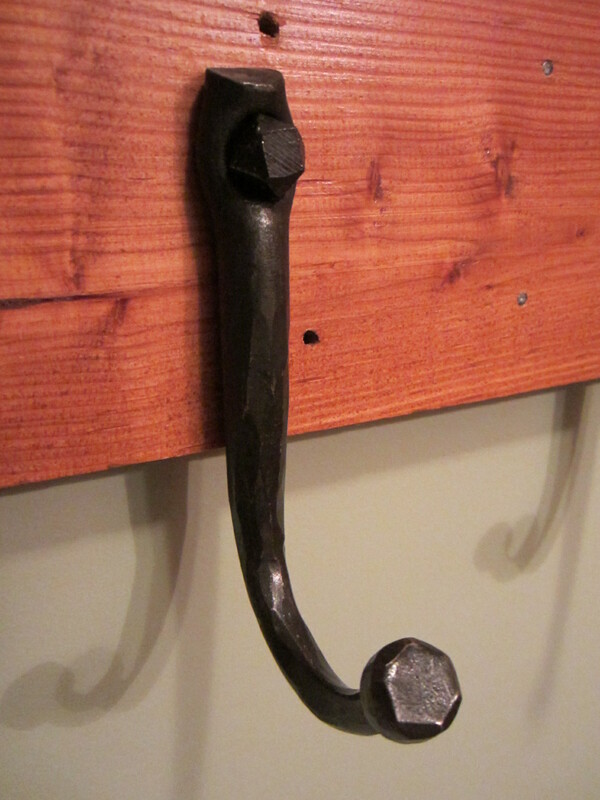 When Curt and I first married, we found these heavy wrought-iron hooks in a local shoppe somewhere on the Georgia border. Heavy, as in could double as a weapon heavy. We bought 5 and they have hung faithfully by the front door ever since. As the family grew and our inventory of puffy coats increased, Curt commissioned a friend to hammer out more of them. They are a perfect match to the originals and now we have about 4,000. Or slightly less… but let me tell you: since the day Rylie was born I have been desperate for more hooks. Do kids just GROW things on the ground? It’s like it appears spontaneously and without manners. AND: who thought of the world’s dumbest invention, the bathroom towel bar that only holds one towel maybe two if they are perfectly folded which they never are gimme a break virginia? Hooks. Give me hooks. Everywhere. Curty spent a weekend drilling and I spent a weekend following behind him with a wrench turning every odd space in our Shoebox into a functional space with our beautiful hooks. 7 (SEVEN!) 8 (eight!) 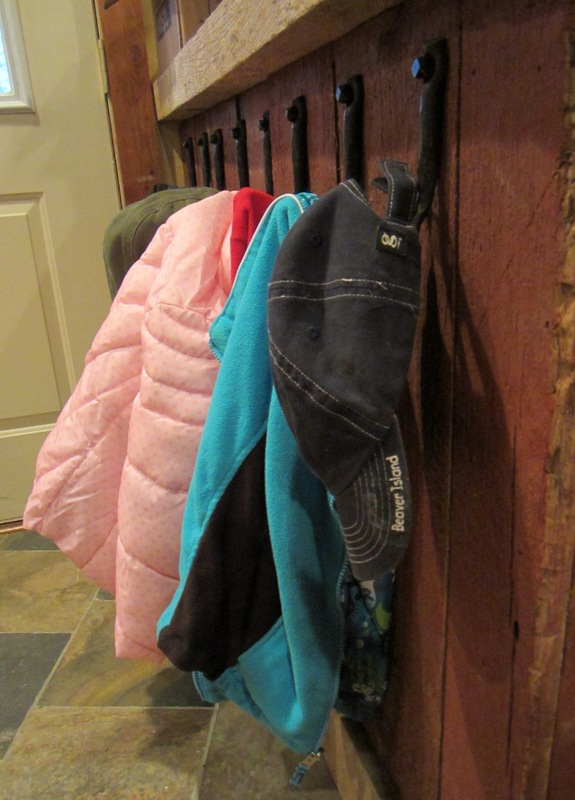 hooks behind the front door at Rascal Level for children to hang… everything. Gideon has not caught himself on these hooks yet, but I suspect it is only a matter of time. 6 hooks behind Rylie’s bedroom door. You wanna hang your undies there, Child? Fine. Go for it. Curt got 4 hooks by the closet to avoid piling clothes on the chair. 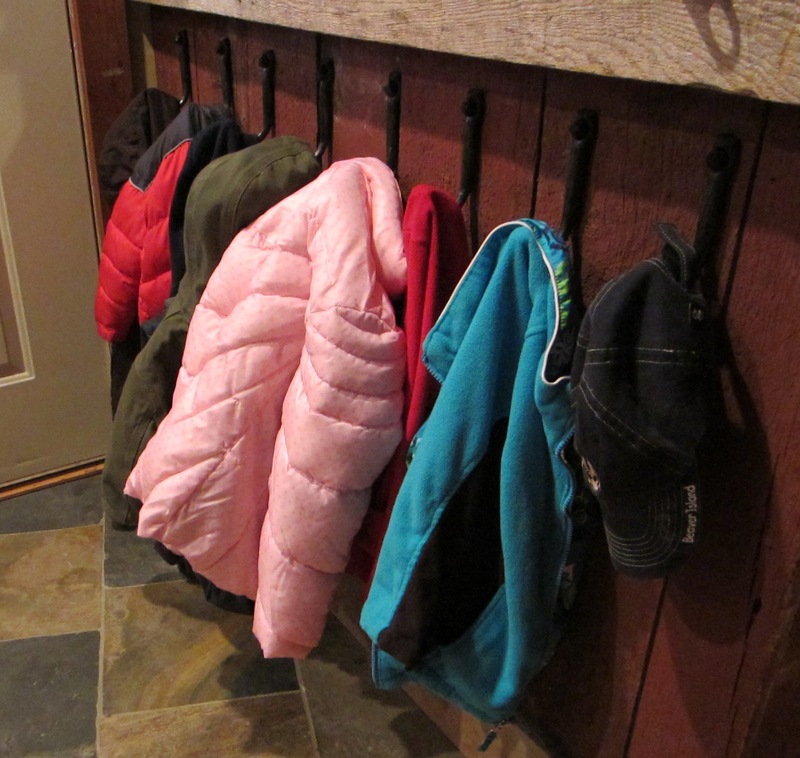 I got 4 hooks in the kitchen for bibs and aprons. 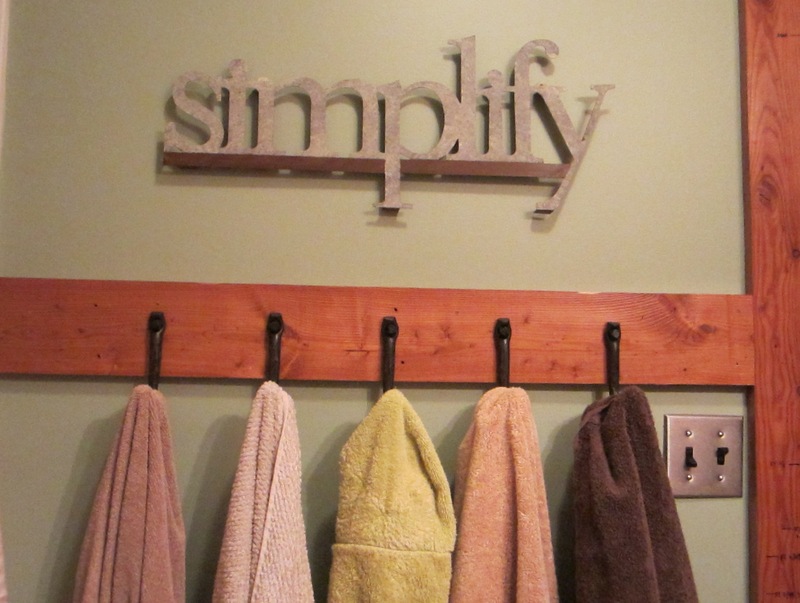 And, my favorite, 5 hooks in the bathroom where the ridiculous towel bar used to live. We love you so much more than that 🙂 Come on over. Your towel is safe now. Hola, Peeps! If you missed it Thursday, you need to go HERE and enter the Mulder Baby Pool with your guess for Little Mulder. Your name guesses have been awesome. We are so completely lost on names this go-round. Keep ’em comin’. There are new photos HERE if you missed seeing the kiddos’ faces. Let me just say, they are stinkin’ cute kids. We’ll talk about them in-depth soon. I’ve been a little nest-y this pregnancy. More so than with any of the others. Did you do this? This manic “I must touch and move every single thing in every single drawer and every single room in the house” thing? I’m tired. But I’ve been more productive in the last three months than maybe- and I jest not- than maybe my entire life. First project: our bedroom. We needed something by our beds that Mulder Children could not destroy. After 5 years of kids trying to steal lamps, break lamps, wear lamps… I began my search for sconces. Hated everything I found. Didn’t want to add to Curt’s project list by picking lights that had to be hardwired into the walls. 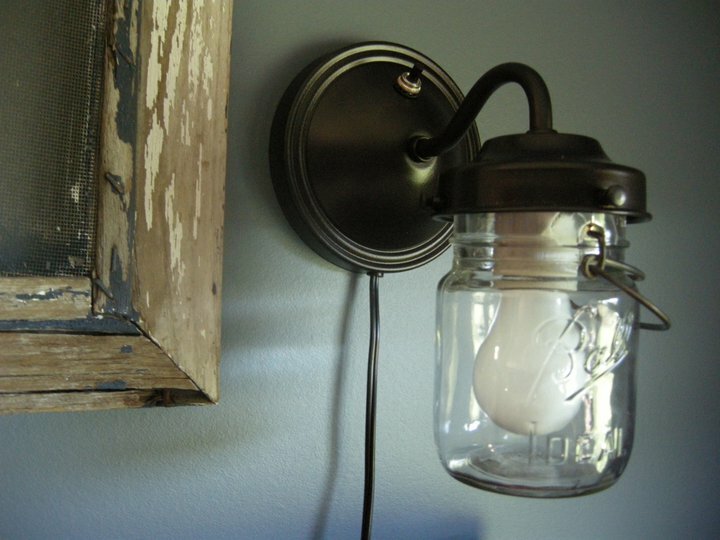 At long last, I found these beautiful, simple sconces made from Lamp Goods. So incredibly happy. The frame and linen you have seen before (HERE)… still not sure if Curt knows I stole the screen from his stash in the barn. I’m ok with that. 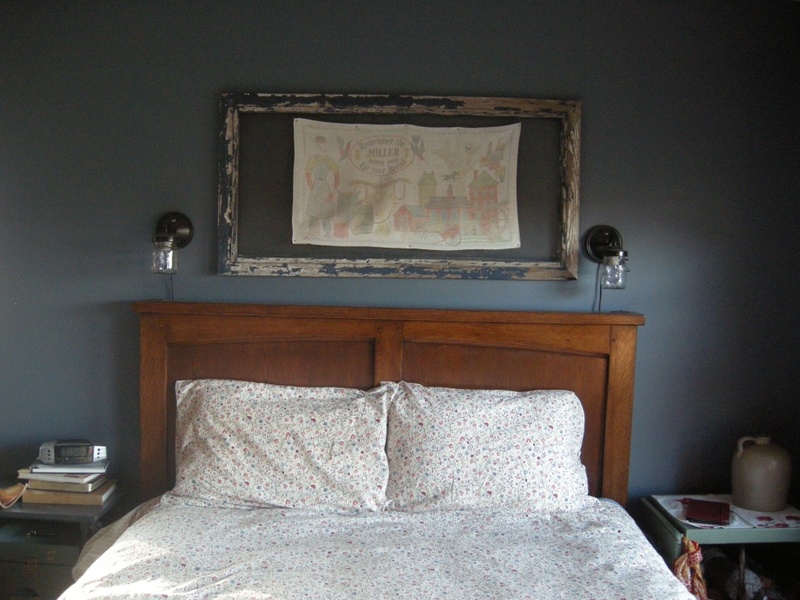 The bed was designed and handmade by my father in law… whose low-end designs are sold in places like Pottery Barn. I know. Every child gets to pick a piece of furniture as a wedding gift, and we chose our bed. Bob tends toward clean, straight, Scandinavian design by preference… but can obviously work with a client. I mean, y’all. Is there a more beautiful bed anywhere in the world? No. And then there was this beauty, which has graced Curt’s side of the bed since he was in college. A huge, hulking mass of gorgeous-but-out-of-style pecan wood nightstand. It weighs about four-thousand and seventy pounds. The drawer holds junk. Shoelaces, coins, red pens, bullets. The cabinet underneath holds magazines. And checks. And papers that are important but never looked at. I am intimately familiar with the contents of this nightstand because every. single. day. of motherhood I have pulled a child (or two) out of the cabinet and replaced all the magazines, all the pens, all the bullets back to the drawer. Every day. Nightstands are easy to find, but did you know that they cost about a million dollars each? And try buying cheap furniture in this family. Not an option. 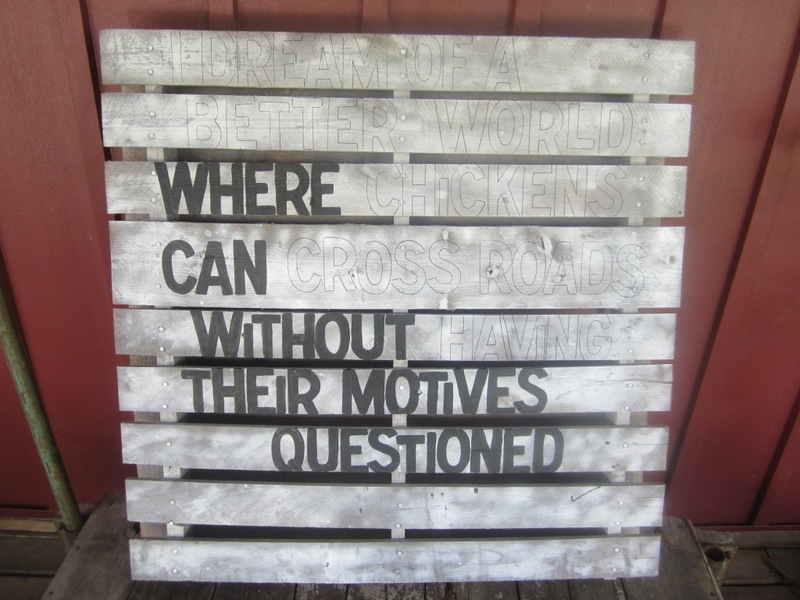 Fortunately, I do love furniture with a story and have an extreme soft spot for metal tables. I found two typewriter tables for $25 each. Mine holds a crate underneath with my magazines, a basket of yarn, and one of my grandmother’s silk scarves. Curt’s holds a blue tackle box (his grandfather’s) which replaces the junk drawer and a green file box for all the papers- both lockable. It has required some simplification on both our parts, but that’s not a bad thing. I love, love, love the changes. I love that the space both above and around our bed is now finished. And matching. 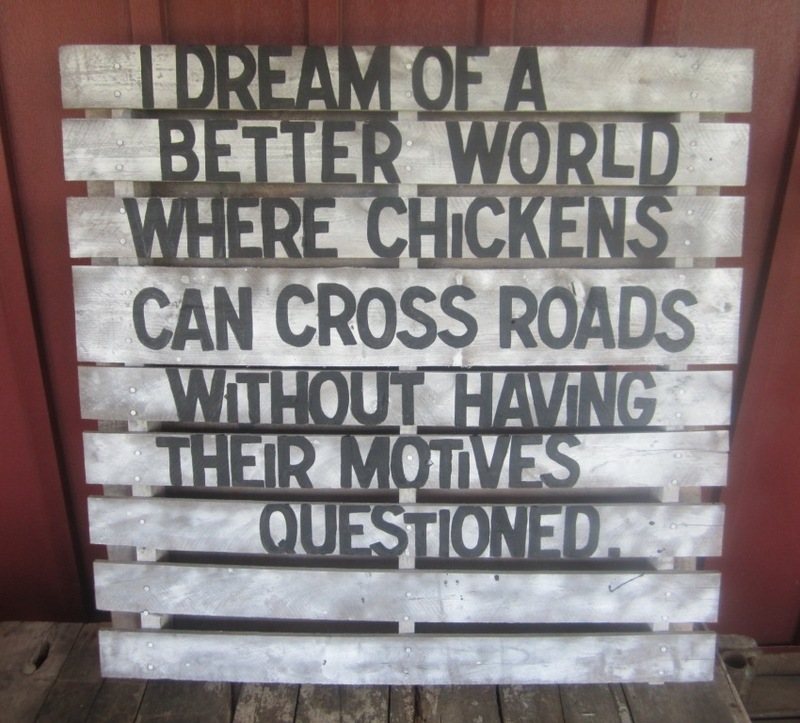 And purposeful. 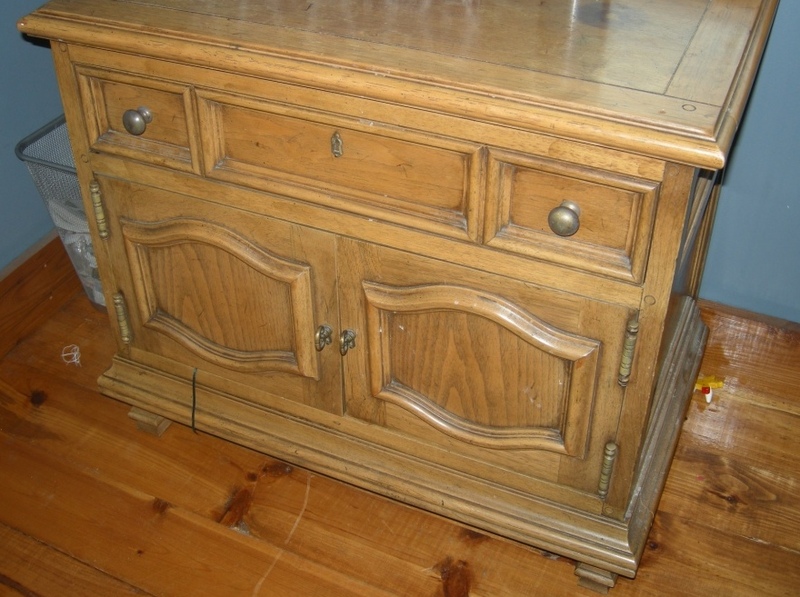 Now, someone please come help me move the pecan beast of a nightstand into the basement. It will take about 4 of us.